What are the benefits of Extreme Mass by International Protein? Extreme Mass is aimed at allowing users easily add desired weight to their bodies, With a powerful blend of 5 types of proteins, complex carbohydrates and healthy oils that burn fast helps ensure your body stays in a high growth state to allow you to build muscle and size. Extreme Mass is an ideal supplement for men and women who have difficulty consuming enough calories to build lean musle mass, or trouble sustaining their bodyweight and muscle tone when performing high intensity training from sports and activities. Protein Blend [Whey Protein Concentrate, Whey Protein Isolate, Calcium Caseinate, Hydrolysed Whey Protein Isolate (Whey Peptides), Egg Albumen], Medium Chain Glucose Polymers, Omega Oil Powder [SunflowerOil, Canola Oil, Glucose Syrup Solids, Milk Protein, Emulsifiers (471,322), Flavour], Rice Starch, MCT Oil Powder [Medium Chain Triglyceridesderived from Palm Oil, Glucose Syrup Solids, Caseinate, Emulsifier(471)] Flavours, Cocoa*, Sweetener (Sucralose), Emulsifier (SoyLecithin). 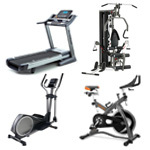 Buy International Protein Extreme Mass from Fitness Market and save! With our efficient dispatching and quick delivery throughout Australia, International Protein Extreme Mass can be yours sooner. 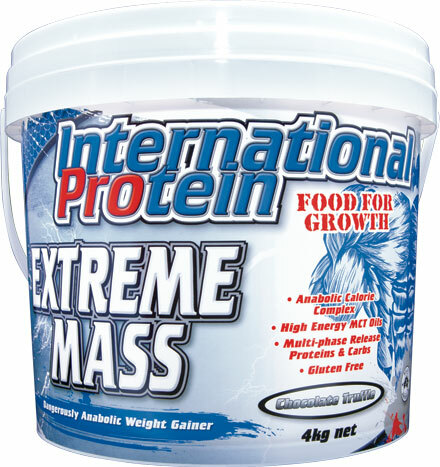 Below you can rate and add reviews for International Protein Extreme Mass.